Online Newspaper Readers a "Sophisticated Audience"
The first issue of the Porterville Recorder was published on May 21, 1908 and from its inception has sought to serve its readers with the most up-to-date information available. The Recorder now employs more than 80 people, circulates copies six days a week, and occupies about 20,000 square feet at Oak Avenue and Third Street in Porterville. Approaching its 10th anniversary in 2007, The WAG covers New York's Westchester and Fairfield counties as more than just a typical regional magazine. Instead, The WAG chronicles life among the affluent and accomplished, introducing readers to the movers and shakers, the philanthropists, the opinion leaders, and the tastemakers. The WAG states that their readers are active in their communities and are on the boards of cultural centers, medical centers, and voluntary organizations. The WAG is described as a fast, fun, useful read, strongly positioning its advertisers before a group of people who have the means, motivation, and discretionary income to indulge in the very best of everything. 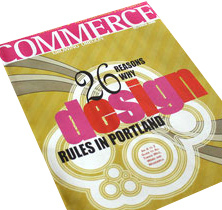 Commerce Magazine is a full-color, monthly business magazine serving Portland Metro regional business leaders with stories, analysis, and expert opinions on the region's prosperity and economic development. Commerce Magazine is published by the Daily Journal of Commerce and is a sister publication to the Daily Journal of Commerce newspaper, the region's leading building and business daily. In-depth storytelling, great visuals, meaningful data points, and smart viewpoints from diverse business leaders make Commerce Magazine one of the region's best business monthlies. The Suburban Newspapers of America (SNA) and ten community newspaper companies are launching a national advertising network in August 2007. The goal of the new network is to make it easier for national advertisers to buy ads in thousands of suburban and community newspapers. "We know that community newspapers represent the growth segment of the industry," said a recent SNA press release. "Regional and national advertisers want to reach the highly desirable market served by community newspapers, especially in the affluent suburbs." The network includes ASP Westward, American Community Newspapers, Community Newspaper Holdings Inc., GateHouse Media, Schurz Communications, Sun-Times Media Group, and Suburban Newspapers Inc. (a for-profit subsidiary of SNA). Four groups are fractional owners: Rust Communications, Packet Publications, Recorder Community Newspapers and Holden Landmark Corp.
SNA includes more than 2,000 daily and weekly suburban and community newspapers. The association was established more than 35 years ago to promote the interests of its members. "Individual community newspapers have not always been able to attract national advertisers on their own, as these advertisers are typically looking for broader reach," said Susan Karol, executive director of SNA. "Being part of a vast network will enable these newspapers and their websites to receive national ad placements that they might not have gotten on their own." The network is looking into tapping "big box" retailers and other traditional national ad categories such as travel, telecommunications, automotive, pharmaceuticals and more. The new network will provide standard pricing, sizes and video opportunities. "Right now, our segment of the newspaper industry is somewhat fragmented and complicated to buy," said Karol. "The network will remove that barrier and open up a new option for national advertisers looking for an alternative to metro newspapers." "The metro daily industry is struggling and sometimes we get lumped into that," continued Karol. "National advertisers are looking for ways to reach deeper into communities. Metros aren't, in many cases, reaching deep enough." Long a staple in Europe, free dailies are relatively new to the U.S. market. Don Nizen, Operations Director for Boston Now, says free dailies represent 50% of the newspaper market in Europe, but just 6% in the U.S. There are now some 39 free daily newspapers in the U.S., 12 of which have been launched in just the past 7 years. While circulation numbers continue to fall for large metro paid dailies, free papers are stepping in to meet the needs of the younger urban demographic. They are generally tabloid size (easier to read on crowded mass transit), can be read quickly (knowledgeable at the water cooler) and are delivered when people have time to read and catch up (during the commute). They sometimes contain some syndicated national and international news but are more local in focus. The trend is not limited to the metropolitan markets. The Steamboat Pilot & Today is a free daily newspaper published in the resort town of Steamboat Springs, CO. Publisher Bryna Larsen says one key to the success of The Pilot is that it contains information readers can't get anyplace else. The paper has one newsrack for every 50 people in the county. "What's in the Denver Post may or may not affect people in Steamboat," says Larsen. "With The Pilot, you don't have to sift through pages and pages and get your fingers all inky to get the information you need." 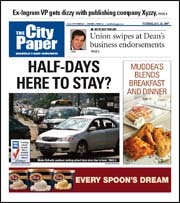 The City Paper is a free daily published in Nashville, TN. According to Publisher, Albie Del Favero, their model is a little bit different than other metro papers. "What sets us apart is that we are relentlessly local in our approach to content," he said. "In essence, we are a community newspaper for a very large community." Del Favero says The City Paper covers Nashville, a city of 500,000 people, and northern Davidson County. Nizen describes free dailies as "the Internet in print." He says people are used to getting their news for free and haven't developed the habit of paying for it. Younger readers, the coveted 18–34 demographic, normally get their news from the Internet or TV. Larsen says even though people pay for Internet access or cable service, people still perceive it as essentially free. All agree that the strength of free dailies, no matter the size of the market, is that they're hyperlocal. Whether it is reporting on the outcome of a city council meeting or about the latest hot dance club, they provide information that influences readers in their daily lives. They also agree that people want a quick read. They don't have the time to sit down in the morning with their coffee to read a paper cover to cover as people once did says Del Favero. The City Paper normally publishes 24 pages and would probably top out at 48 he says. Nizen believes people won't spend more than 15 or 20 minutes reading news today, but they want to feel like they have at least a little news. Are advertisers still wary about buying space in free papers? Not any longer, according to Nizen. Free dailies now run ads by major national advertisers. Ads for JetBlue, Bloomingdales, and major motion pictures are nestled comfortably beside ads for local restaurants, clubs, and banks in Boston Now. Nizen says that they have as good as or better distribution systems as paid papers. Larsen strongly believes that where the readers go, advertising dollars will go. "Free papers have to position themselves as real papers, not shoppers, and pay close attention to content," she said. According to Del Favero, free doesn't say "unwanted" or "throwaway" to local advertisers like free papers struggled with in the past. "There are a lot of people paying for a paper that doesn't leave the plastic wrap…our readers are making an active choice." Del Favero stated that although the resistance is weakening, some large advertisers are still making the blanket statement that they don't buy advertising in free newspapers. But Del Favero says that most of The City Paper's advertisers are more concerned about results and cost, not about whether someone paid for the paper. The future of free dailies looks promising. Nizen believes that with independent papers with foreign investors like Boston Now, and paid dailies coming out with free papers to protect their market—like Express published by The Washington Post—there will be quick expansion to more and more markets. In markets where there is no mass transit system, Nizen predicts papers will expand to a home delivery model as well. Del Favero says that they don't have plans go to home delivery. "I firmly believe that reaching people at their place of work is far more effective." About 35 to 45 percent of The City Paper's distribution is in office buildings. One of the reasons The Pilot doesn't do home delivery is because there are many second homes in the delivery area and the young, on-the-go population prefers to pick it up during their daily activities. The Pilot, The City Paper and Boston Now have integrated the Internet into the publishing model effectively. Sidebars in Boston Now tell readers to go to their website for more information, and reader input helps determine the news for the next day's edition. 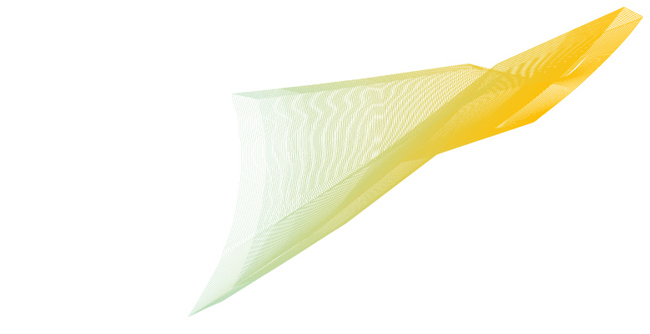 The City Paper publishes an interactive PDF e-paper. It's free, but people still have to see the ads, Del Favero says. It may even be a better vehicle for some advertisers as readers can click on an ad and go directly to an advertiser's site. Del Favero says that about 35,000 readers read the paper exclusively online. "The Internet is the greatest invention of my generation," says Larsen. "The number of people going online in the last 10 years is staggering. Papers are finally getting to the point where their investment in online makes money. According to the results of the fifth annual PRWeek/Manning Selvage & Lee (MS&L) Marketing Management Survey, nearly 17 percent of senior marketers admitted that they traded advertising dollars for editorial coverage. It is discouraging to say that this represents an improvement—in last year's survey 24 percent said they expected coverage. Of the 279 respondents to this online survey conducted between April 26 and May 9, 2007, 7 percent of the marketers said their company had an implicit agreement with a reporter or editor wherein they received favorable coverage for placing an ad. In addition, 5 percent say they gave a gift of value in exchange for editorial coverage. Although survey respondents said they specifically requested that the gift be disclosed, 58 percent said it wasn't. "These results indicate that there continues to be a group of marketing executives that do not respect the proper role of news media," said Mark Hass, global chief executive officer of MS&L. "Even the smallest percentage of people who are willing to pay in return for a news story creates an ethical issue that the marketing industry needs to address." Editorial credibility is important to both the marketing and media industries. Without strict standards, trust will continue to erode. The media industry's role as an unbiased source for information for consumers will disappear. Hass said, "Marketing executives may not understand there is a line they shouldn't cross, but ethical issues shouldn't be discussed only when a company is found out." According to the Newspaper Association of America, more than 59 million people (37.3 percent of all active Internet users) visited newspaper websites during the second quarter of 2007, a record number that represents a 7.7 percent increase over the same period a year ago. In addition, newspaper website visitors generated nearly 2.7 billion page views per month throughout the quarter, compared to slightly more than 2.5 billion during the same period last year. And more than 60 million people visited newspaper websites during May 2007 that month, more than any month on record. "Readers are visiting newspaper websites in record numbers for in-depth news and information as well as hyperlocal information," said NAA President and CEO, John F. Sturm. "These sites [offer] thought-provoking blogs to complement the journalistic excellence that makes newspapers a community's most trusted resource." In addition to this data, Nielsen//NetRatings reports that users spent a combined 7.2 billion minutes browsing newspaper websites during the second quarter during nearly 1.4 billion total visits. "The amount of time users spend enjoying a newspaper's digital content further establishes these sites as premier online destinations for a demanding and sophisticated audience," added Sturm. If you have previously submitted a Circulation Analysis by ZIP/Postal Code, Verified makes it easy to update your information. 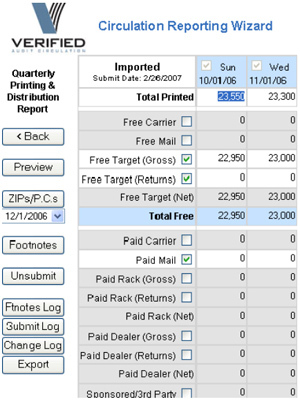 In order to create a new analysis, select the day you would like analyzed on the QPD as you normally would. Click the ZIPs/PC's button on the left side of the screen. A blank Circulation Analysis by ZIP/Postal Code screen will appear. To copy the same ZIP/Postal Codes from the previous analysis into the new analysis, click the Clone button on the left side of the screen. A new screen will appear with the ZIP/Postal Code and Community fields completed and the circulation fields blank. To complete the analysis, enter the updated figures for each reporting category normally. If you need to delete or add ZIP/Postal Codes, you can do that using the Del Row and Add features. Once finished, you may submit the analysis as usual. The cloning feature allows you to complete your analysis quickly and does away with much of the manual input. If you have questions on how to use the cloning feature of the Wizard, please contact Verified at 415-461-6006.